John Cox received a 100 acre Land Grant located on Flag Creek including Leonard Furr's improvement where he formerly lived. Thomas Penn and Richard Crooper were chain carriers. Thos. Matthews and J. Hinson entered 200 acres located on Buffalow Creek adjoining Cockman, Furr and Cagle. Leonard Furr received a 50 acre Land Grant located on the Buffalo Creek adjoining Richard Bean and including his own improvement. John Viner [?] and Stephen Richardson were chain carriers. John Henson & Thos. Matthews received a 200 acre Land Grant located on Buffalo Creek adjoining Furr and Cockman. 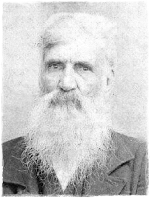 Joseph Cockman received a 50 acre Land Grant located on Long Meadow Branch adjoining Michael Hill. Leonard Furr and Michael Hill were chain carriers. Leonard Furr received a 50 acre Land Grant located on the head of Long Meadow Branch adjoining Solomon Barret. John Spivy and Jacob Stutts were chain carriers. John Spivey received a 60 acre Land Grant located on Buffalo Creek adjoining Bean. Leonard Furr and Jacob Stutts were chain carriers. David Allison received a 245 acre Land Grant located South of Bear Creek adjoining Leonard Furr. Leonard Furr and Jacob Furr were chain carriers. David Allison received a 320 acre Land Grant located on the drains of Flag Creek adjoining Leonard Furr. John McDonald and Angus McIver were chain carriers. David Allison received a 529 acre Land Grant located East of Horse Creek adjoining Leonard Furr. John McDonald and Angus McIver were chain carriers. Leonard Furr received a 50 acre Land Grant located West of Flag Creek adjoining his own line. John McDonald and Angus McIver were chain carriers. Christopher Stutts received a 150 acre Land Grant located East of Bear Creek adjoining John Gilliam. Leonard Furr and James Mainers were chain carriers. George Cagle Jr. received a 30 acre Land Grant located between Cabin Creek and Bear Creek adjoining John Cagle and Brownlow. John McDonald and Leonard Furr were chain carriers. Beyhue Sowell received a 50 acre Land Grant located on Buffalo Creek adjoining Leonard Furr. Alexander McCaskill and John Cambel were chain carriers. Everet Smith received a 100 acre Land Grant located on North of Cabin Creek adjoining David Allison and his own line. Leonard Furr and Levy Smith were chain carriers. Levy Deaton received a 100 acre Land Grant located on both sides of Cabin Creek adjoining David Allison and Everet Smith. Everet Smith and Leonard Furr were chain carriers. Leonard Furr received a 100 acre Land Grant located North of Bear Creek adjoining Needham and Everet Smith. Leonard Furr and Levy Smith were chain carriers. Stephen Richardson received a 50 acre Land Grant located on Long Meadow adjoining Edwards, Myre, Henson and Furr. John Richardson and John Martin were chain carriers. Leonard Furr received a 125 acre Land Grant located on Flag Creek adjoining Peter McLean. Jacob Furr and Leonard Furr are listed as chain carriers. John McAulay received a 50 acre Land Grant located on both sides of Bear Creek adjoining Leonard Furr, Wm. Needham [formerly Simon Hart], and William Maness. Amos Maness and Nameliss Maness were chain carriers. Charles Sowell received a 50 acre Land Grant located on Flag Creek adjoining Jacob Furr, Williamson, his own line, George Cagle, Graham, and Leonard Furr. George Cagle and Jeremiah Williams were chain carriers. Leonard Furr Senr. received a 300 acre Land Grant located South of Cabin Creek adjoining Thomas Graham, George Cagle, William Cagle, John Cagle, Jesse Brown, John Smith, Matthew Deaton, and John Needham. Christian Stuts and Isaac Cagle were chain carriers. Jacob Furr received a 150 acre Land Grant located on the Pond Branch of Flag Creek adjoining Leonard Furr, his own line, Thomas Graham and Charles Sowell. Charles Sowell and Bartholomew Dunn were chain carriers. Leonard Furr Senr. received a 40 acre Land Grant located on both sides of Cabin Creek adjoining William Cagle, Neil McLeod, his own line and George Cagle. David Kennedy received a 200 acre Land Grant located on Bear Creek adjoining Neil McLeod, Leonard Furr, John McAulay, his own line and Brown. Hiram Kennedy and William Kennedy were chain carriers. [S1144] North Carolina Furr Descendants [http://homepages.rootsweb.ancestry.com/~furr], Bill Furr, 75 Oldfield Circle, Montgomery, AL 36117, bfurr1@charter.net. LEONARD I (1758 - 1835) was the first Furrer born in North Carolina. Since he was born at the same time his family arrived at Cold Water Creek, his infancy may have been a major factor in his father's decision to remain there. With this in mind, it is ironic to note that all but one of his children left North Carolina to settle elsewhere, and in later life he himself moved to Mississippi. Leonard I was only 11 years old when his father died in 1769. Although he received an equal value of the estate, he did not inherit any land. He purchased land in Moore County and farmed it. He married Elizabeth Stutts, sister of Paul I's second wife, Mary Stutts. They had eight children: Leonard, Elizabeth, Jacob, Paul, Henry, Christian, Isham, and Mary. While Leonard II remained in North Carolina, Paul left for Georgia, and the rest of the children moved to Mississippi. Sometime after 1810, Leonard I moved to Mississippi where he died at the age of 77. He was buried in Copiah County near Allen, Mississippi. The descendants of Leonard I were primarily wealthy landholders and merchants in Mississippi and Georgia. They were Protestants, generally of the Baptist faith. The descendants of Leonard I intermarried with the Pierce family of Georgia. They too enjoyed large families and long lives. Was born in Moore County, North Carolina. He moved to Banks County, Georgia in 1811 when he was 25. Here he bought land from the Cherokee Indians along Hagan's Creek. In 1813, he was commissioned an Ensign by Peter Early, the Governor of Georgia. He joined the 374th Georgia Militia and fought in the War of 1812 at the Battle of New Orleans for which he later received a pension. In 1815, he married Sarah Griffith. They had 11 children. He slept on a bearskin prior to his marriage. Four of his sons and one of his grandsons fought in the Civil War and three died in that war. In 1837, his first wife died, and in 1850 he married Mahala Dobbins. He was 64 years old at the time. Dying at the age of 81, he was buried in Hall County, Georgia. Was born in North Carolina but moved to Mississippi. He owned a very successful plantation in Mississippi along the Little Bahala Creek. He married Mary Pierce. They had 11 children. When he died at the age of 90, his estate was valued at $40,000. Henry and his family are buried in the Henry Furr private cemetery, located east of Beauregard, Lincoln County, Mississippi. Was born in North Carolina but moved to Mississippi. He also owned a plantation on Little Bahala Creek. In 1812, he married Catherine Pierce. They had 13 children. So like his brother, Henry, Christian lived on Little Bahala Creek and married a Pierce. Eight of his sons and one of his grandsons fought in the Civil War and two died in that war. When he died at the age of 58, his estate which included five slaves was valued at $20,000. He is buried in the Jacob Furr Cemetery, Lincoln County, Mississippi. Like his brothers Henry and Christian, was born in North Carolina and moved to Mississippi. In 1836, he bought 40 acres of land from the United States for $1.29 per acre. The land was on Fords Creek that joins Little Bahala Creek at his brother's property. He had five children and died at the age of 46. His brother Jacob was administrator of his estate.